of a photo book as well. 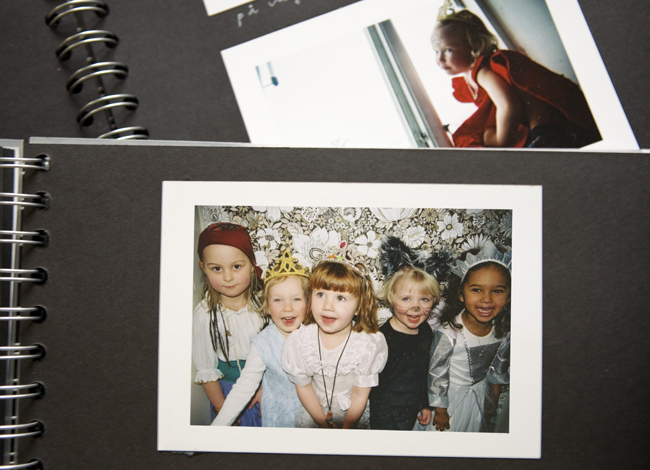 Have you tried some of the photo book sevices that is out there? In that case are there any in particular you would recomend? These photos is from her birthday seven years ago. The theme was different then. it is fun...kind of old-school-experience! I use photobox: http://www.photobox.se/ for all my digital prints. Really low prices and good quality, though I have to admit I've never tried their photo books. lots of options though! Good Luck! I used Blurb - Softcover with Premium Paper and the result was really nice. The nicest of the other companies I've tried. förstår inte varför länken inte fungerar. om du vill se det färdiga resultatet så kan du klicka på 'december' i mitt bloggarkiv och scrolla ner till inlägget från 27/12, "mitt new york". lycka till med bokmakeriet! din blogg är otroligt inspirerande, är inne här nästan varje dag! I love to develop photos too even now everyone is using digital cameras! You know,holding something in hands is more secure than putting all the things in some technological tools. 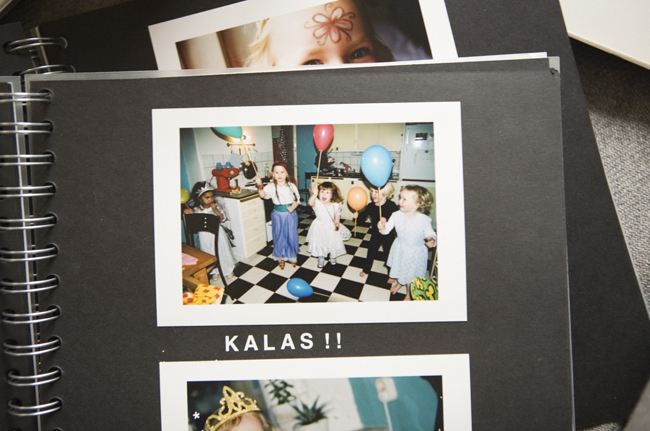 I have never used one of those photo book services, I just always make the photo books myself. I do have to say this takes the best part of ages, but, well, it's more satisfying in the end! I agree with Hilda. I had a very good result with Blurb.com. I have also used Blurb.com with no problems - it turned out great. I've also tried blurb.com, twice. And was really happy with my books! Chose premiun paper and hardcover. The first time though, the pictures came out a bit dark. The other time around I made them a bit lighter than I actually wanted them to be and they were just perfect! Just look out, when you do one book, you'll want to do many more! Good luck! http://www.winifrednicholson.com/images/wn.jpg she has a way with flowers, they look scruffy and beautiful! I didn't know about her work until by chance we stumbled upon an exhibition in Glasgow one year. Happy Day! Photo books are a brilliant thing, me likey! And if you get them right they can be something really special. I know that there's differences in quality so it's good to compare a few different services. Great great with so many tip, thanks! I think I will try out several ones so I can compare. Claire, I didin't know about Winifred Nicholson. The paintings are really nice. Spontaneously I like the "Jake and Kate on the Isle of Wight" painting very much! Jeg pleide alltid å lime bilder inn i sorte album fra Ordning & Reda, nå lager jeg Blurb bøker i stede som jeg er veldig fornøyd med. I'm always afraid of digital photos, and sometimes I do the same and I print them. The photos of her birthday look really glamorous! I am yet to try a photo book but have wanted to for a while. your post has reminded me to do so. i was recommended Blurb.com ages ago. these are sweet birthday shots! what a pretty photo album... love it. I've used 'myphotobook' several times, very fine quality. But heard that 'blurb' is good too. just had a look! What have they got on their heads!!! He looks like Napoleon and she I don't know - brilliant! - - but the boat is the last thing I saw in that picture - suddenly it was there, clever leading my eye! I used shutterfly for a 50 page book that was very simple, hardcover, and I loved it. I may now need to explore snapfish because they are linked with flickr and I want to make it as easy as possible to upload and not have my images all over the place. Can't wait to see what you do! i think you would love kettle's yard, a house in cambridge. there's a fantastic collection of ben and winifred nicholson there and the house is so beautiful. there's a flickr group of photos of it. and blurb, yes! i've had great results too. charlotte, yes oh yes, thanks for the kettle's yard tip! Blurb, have to try them too, heard a lot good of them lately. I use Shutterfly.com and they're excellent! Lots of choices for covers (leather,fabric or printed photo) and you can be simple or complex with the pages, too. They also have great customer service and will often send e-mail coupons for free shipping or 20% off an order, etc. Helps when you make a lot of books like I do!